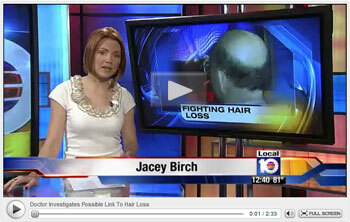 Pembroke Park, Florida WPLG Channel 10 news, an ABC affiliate, reported on the experience of a man and a woman who experienced noticeable hair loss and damage after taking Whey Protein Isolate supplements on a regular basis. The station interviewed Dr. Shapiro about his study and Whey Protein Concentrate supplement, Dr. Shapiro’s Help Hair Whey Protein. Whey Protein Isolate may be causing hair loss as an unwanted side-effect, according to a new study by Dr. Larry Shapiro. This South Florida hair transplant doctor conducted a study comparing the effects of Whey Protein Isolate products on hair versus a Whey Protein Concentrate supplement. The Whey Protein Concentrate supplement is an all-natural product specifically designed by Dr. Shapiro to help hair growth, appearance, etc. Whey Protein Isolate is a popular supplement for building muscle mass and working out, but it is highly processed. Dr. Shapiro suspects that Whey Protein Isolate can cause a hormonal imbalance that increases DHT, which causes hair loss. 64% of the subjects in the study reported significant improvement in the quantity and quality of their hair. 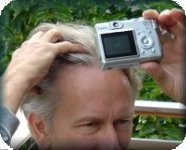 This entry was posted in Baldness, Hair Damage, Hair Health, Hair Loss, Hair Loss Products, Hair Problems on April 7, 2010 by Larry Shapiro.